Social media marketing is much more of an art than it is a science. This means that the only way to truly master it is to experiment, analyze your results and adjust accordingly. Another way to put this is: social media marketing success only comes after making many mistakes. We know, this is probably not what you expected to hear. You might think that we are crazy telling you that you SHOULD make mistakes, as this goes against common thinking. 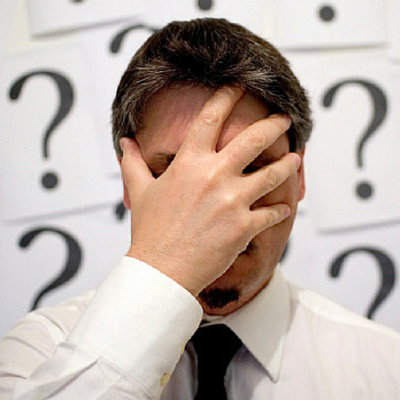 A simple Google search for “social media marketing mistakes” returns over 7,000,000 results. Scroll through the pages and you will notice nearly all of the posts are talking about mistakes you shouldn’t make. Smart businesses understand that mistakes are inevitable and often times aren’t a bad thing. In this post we will discuss seven social media marketing mistakes that every business should make. By the end of this post, hopefully you will understand why. When you are first starting out on a social network, you will have to decide how often to post per day. Each network has best practices for how often to posts, but there isn’t a definite number. For example, we have users that tweet four times per day and see a lot of success, while we also have users that tweet four times per hour. In order to figure out what works best for your business, you will need to experiment. Making the mistake of posting too often is a good thing, because it allows you to understand how often you should be posting. Use a tool like eClincher to monitor analytical data relating to your posting habits. Also pay close attention to negative analytics like posts being hidden or a loss of followers/likes. Through this process, you should be able to figure out the ideal posting frequency for your business on each social network. Much like posting, engagement is crucial for social media marketing success. Without engagement it is impossible to form relationships, which should be one of your primary goals. Believe it or not, you can engage too much or at least too much in certain places. This all depends on your audience and their social habits. One thing you shouldn’t fear is engaging too much. Engagement is what social media is all about and businesses that find the right amount of engagement typically grow their community faster and build trust with them. However, figuring out how much to engage and where to do so takes experimentation. Trust us, you will make the mistake of engaging too much (and people will be sure to let you know). At this point you will be able to adjust and optimize. With engagement playing such a large role on social media, the only mistake you shouldn’t make is engaging too little. When it comes to social media marketing, the early adopters get a disproportionate amount of value. Think about the first advertisers on Facebook. Since there was little demand, the supply was massive. Many businesses built their success through Facebook ads early on. At this point, Facebook is still a viable advertising platform, arguably the most sophisticated ever, but the cost has risen greatly. Finding the next Facebook could be huge for your business. Unfortunately, many businesses avoid new networks out of fear of messing up. This is an irrational fear, because there is really nothing to lose. Create a Snapchat account for your business or give Periscope a try. If you fail you learn, but if you succeed the reward will be huge. You can find thousands of blog posts telling you that you should never spread your business’s presence too thin on social media. Heck, we have even written about it before. It is fantastic advice and something we take very seriously. Afterall, what is the point of having 12 different social media profiles if you do not have the time to properly leverage them? However, you will rarely find a blog that says precisely how many networks is ideal. So, how can your business figure this out? The only true way is to spread yourself too thin. This will be different for every business, but trust us, when you reach the point of being spread too thin you will know. When is the last time your business tried a new marketing tool? Has fear of wasted time or lack of technical expertise prevented you? Failing with a new tool is much better than succeeding with an inferior tool. Let us explain. Tools help your business scale and without them you are very limited when it comes to growth. The right tool can make all the difference for your company. But how can you find the right tool if you are too afraid to try it? Sign up for a free trial of that tool you keep hearing about. Don’t let the thought of it not working out scare you. If it doesn’t work out, it costs you time. If it does work out, it could make your business a fortune. When we first started eClincher we thought we had a firm understanding of who our target customer was. As we have continued to grow we have realized that we were very wrong. Yes, the group we initially considered uses our tool, but there are so many other use cases that we never predicted. Let’s assume this is true for your business as well. If you are afraid to pursue new market niches, you will certainly stunt your business’s growth. The worst part is you probably won’t even realize you are doing so. Re-analyze who could benefit from your product and try to find a few new niches to pursue. Then reach out to a few influencers within those niches to see if they will expose your offering to their audiences. This way if you make a mistake it won’t be costly. Many of the mistakes we discussed up until this point won’t directly cost you any money. This one, however, will. Advertising on social media has gained more and more popularity over the years. In fact, social media advertising budgets are expected to more than double in the next five years, from 11% today to 24%. If your business isn’t currently advertising on social media, chance are you will be in the coming years. There is never a better time to get started than now. The problem is, advertising on social media can be difficult. Take Facebook for example. With over 1 billion active users to choose from, how can your business decide who to target? On top of that, should you pay per click or per thousand impressions? Is mobile placement better for your business than desktop? Your business will have to find answers to these questions. Now you can certainly plan aheads of time, audit your target market and do plenty of research, but ultimately you will have to place your first advertisement. Chances are, it won’t be nearly as effective as you hoped. This is ok! We guarantee that if you take time to understand why it wasn’t as effective as you hoped, your next advertisement will be better. Before long, you will be a social media advertising expert! The beautiful thing about social media marketing is that it is always changing. This means there are few, if any, true experts. Instead, there are people who are willing to make mistakes and learn from them. Risk takers who understand that the only thing to fear is not improving. You see, in a world full of people telling you to be perfect, we are telling you it is ok to make mistakes. In fact, we are telling you that you should make mistakes. Because once you do, you will be that much closer to success. Want more content like this delivered straight to your inbox? Subscribe to our blog below!